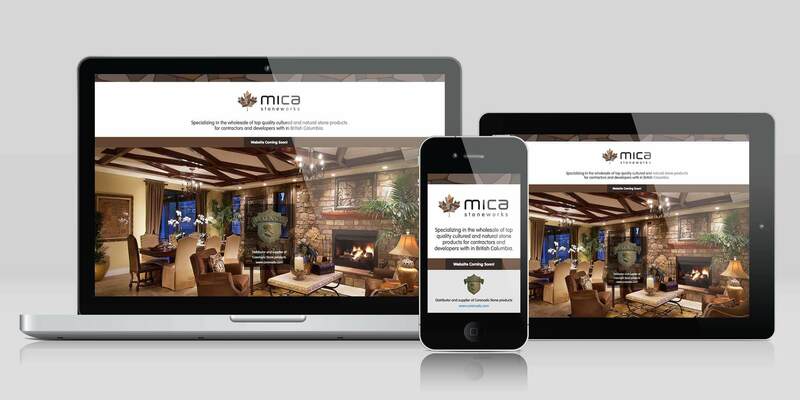 Logo, stationary and website design for Mica Stoneworks Canada, Specializing in the wholesale of top quality cultured and natural stone products for contractors and developers with in British Columbia. The logo design needed to be simple and convey a clean and modern image, and at the same time being obviously Canadian. MICA Stonework’s main clients are hi-end commercial and residential developers and contractors.